Arnold Friede, Counsel to the law firm McDermott Will & Emery LLP, was my guest in yesterday's live Pharma Marketing Talk Show/podcast (see "Towards a Rational FDA Policy Addressing the Internet and Social Media"). At the end of that interview, Friede mentioned FDA guidance on presenting risk information in drug promotion that had just been released (see "FDA Rules are NOT Media Agnostic"). "It is true that FDA in the Draft Guidance officially adopts the 'reasonable man' standard for interpreting advertising and promotional claims. That is nice and long overdue. And the agency also says that in interpreting advertising it attends to the First Amendment. Likewise nice and long overdue. "At the same time, of course, FDA continues to aggrandize entirely to itself the right and the ability to decide what the 'reasonable man', whether physician or consumer, understands in the context of any given promotional piece. "By contrast, the FTC's Deception Policy Statement, from which FDA explicitly borrows the 'reasonable man' standard, acknowledges that except when the claim is explicit on its face, the Commission will usually consider consumer survey evidence in determining what meaning to ascribe to the advertising. "FDA's apparent unwillingness to consider anything but its own views in determining what the "reasonable man" thinks suggests that adoption of that standard may amount to nothing more than elevation of form over substance. And it belies the agency's professed attention to the First Amendment." Friede is attempting to bring together an ad hoc coalition to respond to the FDA's 14 enforcement letters citing violative Adwords (see "The 14 Letters. Who at the FDA Knew What and When?"). 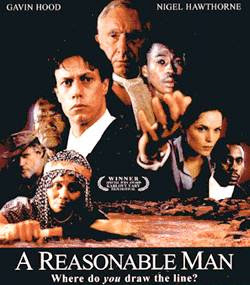 He is in favor of crafting a response that hinges on the concept of "reasonable man." "[W]e examine the practice from the perspective of a consumer acting reasonably in the circumstances. If the representation or practice affects or is directed primarily to a particular group, the Commission examines reasonableness from the perspective of that group." Friede argues that when the "reasonable consumer standard" is properly applied in the case of Adwords, the result is that "people understand that if they have an interest in learning the information, they simply click on the link [in the Adword]. There's a more than credible case to make that the linked information -- the information on the landing page -- should be considered a component of the advertising and not distinct from it," said Friede in my interview (listen here). This is akin, says Friede, to print ads where the complete prescribing information appears on the back side of the ad. The FDA, however, seems focused on the main part of the advertising piece and NOT what's on the back of a print ad and, by extension, not what's on the landing page of a Web ad. It cites an example of this on pg. 5 of the Guidance using language from a fictitious print ad. FDA clearly is concerned in this case that the risk information is included on the promotional page and is presented in a manner comparable with the benefit information. If you consider an Adword to be similar to a print ad in a magazine, then you might interpret the FDA guidance to mean that Adwords must also contain risk information that is comparable to the benefit information in the Adword. But that brings us to another problem that Friede also talks about: the problem of interpreting what the FDA thinks about Internet ads based on its guidance for print and TV ads. "FDA is applying the same rules to all promotional communications regardless of the medium," says Friede. "This is a serious problem in the context, particularly, of new media, which has different technological capabilities and limitations." Friede, IMHO, is a "reasonable man" and we should listen to what he says.